Dream Logic: The SelectButton method is to play as many games as humanly possible, then make obscure connections between their designs, history, and pretty much anything. 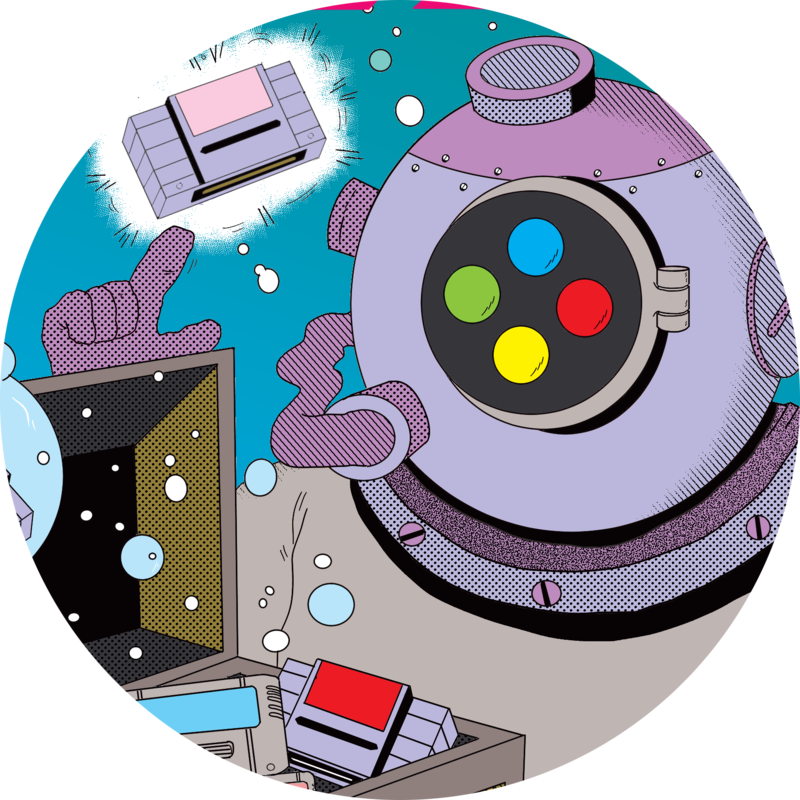 Members of the Super Nintendo Exploration Squad apply that method to random SNES games. Randomness: Roll the dice, play a game, that's our philosophy. We're explorers after all! Non-Elitism: We know a lot of weird crap. It's important to explain it! It's more fun to include people then to exclude them. Interactivity: You get to vote! We pick three random games, but you get final say on which one we play. Vote on our Twitter, it's usually the pinned tweet. Hangoutitude: When it comes down to it, we're just a bunch of weirdos hanging out playing weird video games. Tangents are not just welcome, they are encouraged. Let's have fun playing video games! Legality: We've bought every single game we've ever played. Emulation is illegal you know!!! !